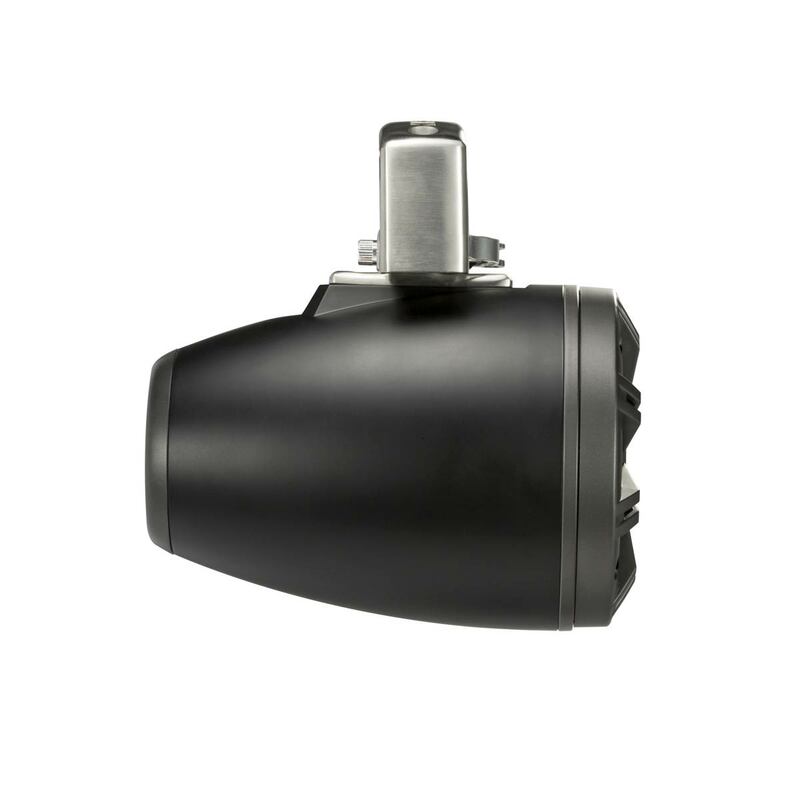 Part # 45KMTC8 Livin’ Loud and looking good, KICKER KMTC8 Coaxial Tower Systems are the flexible, stylish solution your recreational vehicle needs. Sold as pairs. 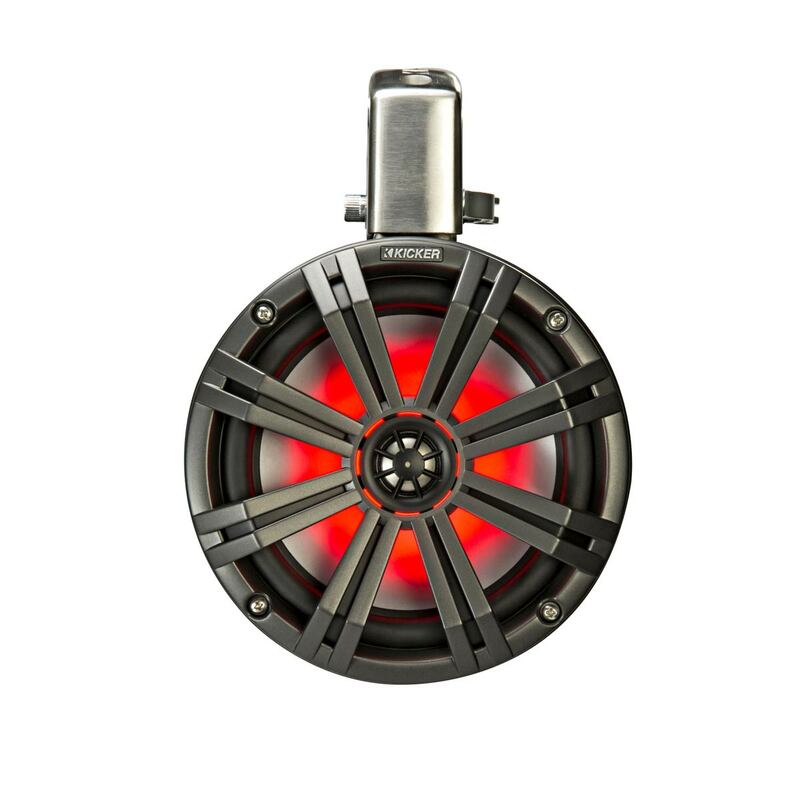 Kicker's 45KMTC8 Marine / ATV Tower Speakers are an amazing combination of awesome sound and cool lighting. 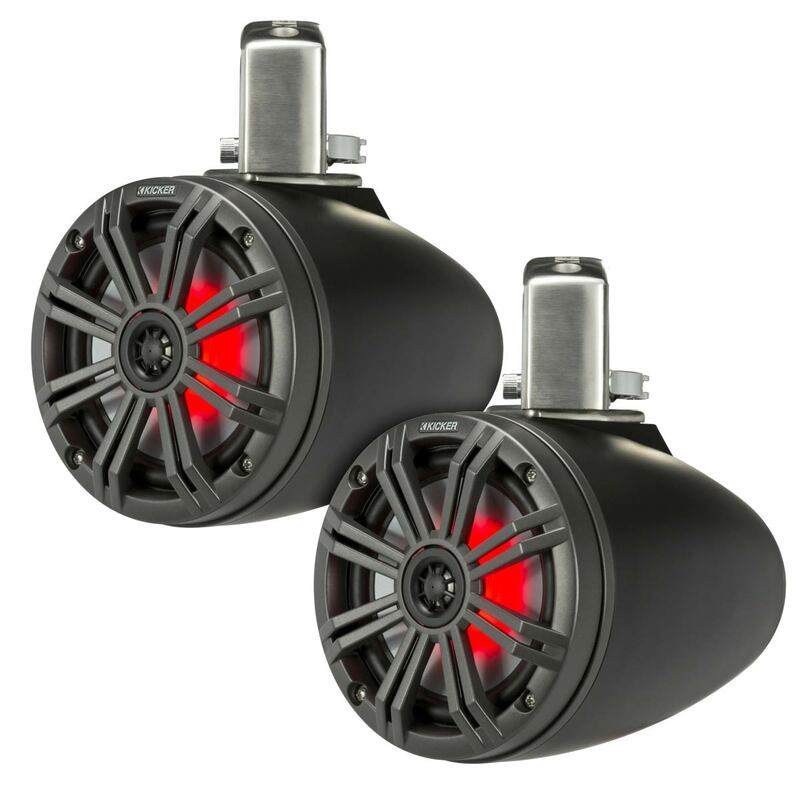 Like all Kicker Speakers, they sound terrific, but with built-in LED lighting and aggressive styling, these speakers bring a lot more to the party. You can adjust the multi-color LEDs to suit your Boat / ATV or your mood, so they'll add a lot to your evening cruise.